"Point and Shoot" gets reloaded. Again. Looks like Alec isn't able to step to the plate and host the popular 'Photog' in which the Halo Community enjoyed reading about different famous artists and learned what makes them tick. Alec gave me the reins of these popular news stories, and I have chosen fan-fav and familiar face, COL0NEL SANDERS, to showcase in this week's Screenshot Spotlight. This guy's screenshots are the stuff of legends, so don't forget to hit the links below and read about this amazing artist! I am most commonly known as COL0NEL SANDERS or The Sandman from time to time, and good ol' jdars calls me Sanders, but my parents named me Charlie. I am currently attending college and majoring in my passion, photography, which I hope to someday take photos for a major magazine or business, or possibly open up my own studio. 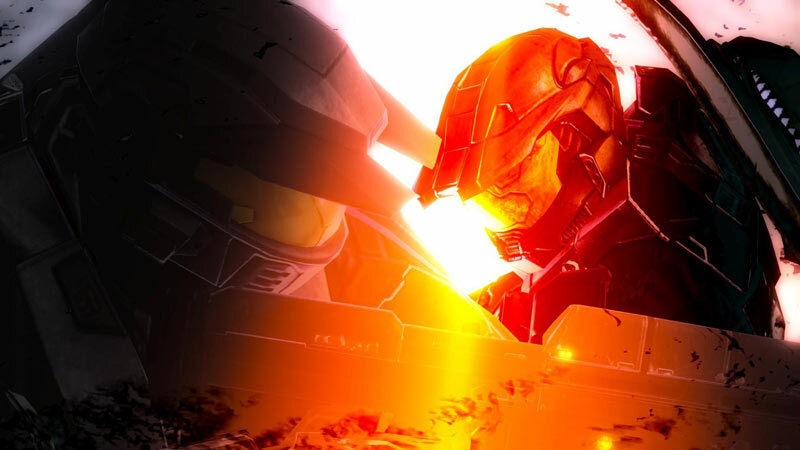 I am also a frequent contributor to the Halo community and as a Halo 3 screenshot artist. What inspired you to start taking screenshots? Surprisingly enough I started taking screenshots because of my interest in photography! Some of the early greats, such as AusQB, DBlackMax and INFLUENTKILLER to name a few, really helped to motivate and inspire me to explore the limitless possibilities of Halo 3 screenshots. It wasn't hard to get sucked into it when people would keep coming up with new techniques and new places to take pictures. Soon enough, I got caught up in it and began my own career of Halo 3 Screenshots. Are you still actively taking screenshots? Of course! I take them as often as I can, especially now with the new maps. A lot of the times that I make a film for screenshots, I will go in alone because everyone else will be in matchmaking, fragging away whilst I fumble between a couple controllers to pose and get a certain effect. I love taking pictures with my best buddies. I really enjoy it, and won't be stopping any time soon! Out of all of your screenshots, which one is your favorite and/or most known? It's hard for me to pick one favorite, because I like to believe that I spend as much time and effort on every picture that goes into my file share. But if I had to choose one favorite screenshot, it would be Haunting (full-size), which is probably my most known as well. I knew I had something special when it came up on my screen. I probably spent close to 10 minutes finding the perfect composition for that screenshot, and I'm glad I spent the time I did. I made my picture, Haunting, in the "Black Room" on Ghost Town (the room behind the caved-in floor, which can be downloaded here). It wasn't too terribly difficult to get the effects; I was able to pull it off with just me and a couple extra controllers. Before you go into the game, set your characters to Invulnerable and give them infinite grenades, and then put on poor camo. The first thing you need to do once you are set up in the game is to put down the Juicy, Gloomy and Pen&Ink FX and get a Flare handy. Next, position your characters the way you would like them to appear in the picture. Then you need another person to throw down a Flare behind the posing characters and quickly throw a Spike grenade behind them as well. You may want to try this a few times and mix up your positions to have a few extra options when in theater. When you go into theater, slowly FF after you throw the spike grenade and wait until it explodes. When the main explosion is done the spikes are shooting out, place your camera in the tail end of a spike to get the red hue you can see in Haunting. Play with the angle until you find what you like and snap a picture! Enjoy! Which map of the three Mythic Maps is the most incredible overall for screenshot-taking? It's hard for me to say at this point, as I have only been playing on them for five days, but all around I suppose Sandbox has the most abundant amount of options. I think that we are going to see some truly amazing creations in the coming months from various artists. Also, I really like the atmosphere and feeling of both Orbital and Assembly. I've found that the stars are an easy and sure-fire way to get a schnazzy-looking picture on Orbital. Those stars are pretty schnazzy! Have you worked on incorporating different level-specific forge items from the new Mythic Map Pack in your screenshots, such as the purple texture of the objects on Assembly and the light beams in the background of Sandbox? Yes. Right now, I'm trying to implement the Blue and Red orbs of light available on Sandbox into a screenshot. The architecture in general of Sandbox forge items can make for a great background as well. On Assembly, I am trying to use the Covenant supply cases with as a background. There isn't anything in particular on Orbital that I've tried yet, but I'm working on it. Do you think the skulls in each of the three maps can be used in screenshots? Yes, there are a lot of talented screenshot artists out there and I believe it won't be long before we see some amazing work with them. The first thing I thought of was Hamlet. I remember watching the Halo 3 bonus disc and a Bungie employee was explaining Forge and how someday people were going to create Hamlet, and ever since then I've been waiting for a Machinima of Hamlet (*hint-hint*). Are you active in any Bungie.net Screenshot groups or off-site forums? I am an Admin in Aberrant Designs, The Revisionaries, and an active member of several other groups such as The Skeleton Krew, Team BackFire, Epic Pic, Foto, Screenshot Photographers and quite a few others. I also visit and contribute to FacilityB5D.com and both oof bs angel's awesome sites, I <3 halo3screenshots.com and hawttymcbloggy.com. But, of course, Bungie.net is my home. I don't venture too often to the Halo Forum or anything like that, but I visit the Gallery every now-and-then and go to all of the groups I retain membership in a lot. How did you come up with your sick Bungie.net/Gamertag name? I'm not really sure. I guess I wanted a name with a military rank in it, but not something incredibly overused. So I went with COL0NEL SANDERS! I just thought that it would be funny and ironic because I don't like KFC. I get a lot of crap and stupid, over-used jokes for it though. Would you like to make any shout-outs or add anything that you want the community to know? I would like to make a shout-out to all of the great groups I'm in. And I'd like to make a shout-out to the infinitely talented group, Aberrant Designs, of which I am lucky and proud to be a part of. I would also like to make a shout-out to all of the people at Bungie. Thank you so much for creating such an amazing game and adding screenshot-taking to the mix. And I'd like to make a shout-out to bs angel for all of her awesomness. I would also like to make a shout-out to all of my screenshot compatriots. I would be nothing without all of you. You know who you are, and I thank all of you!! I would also like the community to know, if you are looking to become a better Halo 3 screenshotter, there is nothing more than the basics I can tell you that will make you better. You need to learn on your own. You will only get better with practice and perseverance. It's like my photography professor always tells me: "You will learn 90% of what you need to know in photography within the first year. You will spend the rest of your life learning the last 10%." On that note, COL0NEL SANDERS, I hope you don't mind if I make a shout-out of my own to bs angel, the awesome women behind I <3 Halo3Screenshots. On any new project I am working on, she is always encouraging me to continue forward even though she herself is not able to be a partner in the project. Thanks so much, angel! Also, another shoutout to Louis Wu. You have definitely helped make this move of mine to your site much more comfortable than I could have imagined, and you've helped me so much with this project. Thanks!